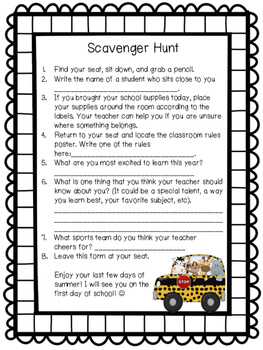 This scavenger hunt is perfect for the beginning of the year when the students are attending Meet the Teacher or even for the first day of school. It keeps the students busy while you are greeting parents, other students or attending to the morning routine. It is a great ice breaker!